People in Belize enjoy conditions in which there is a healthy respect for civic space, which is protected in law and in practice. Some groups, including the indigenous Maya people, do however experience marginalisation and discrimination. On 18th February 2019, a protest was organised by members of the People’s United Party (PUP) against the work carried out by Vital Statistics Unit. On 18th February 2019, a protest was organised by members of the People’s United Party (PUP) against the work carried out by Vital Statistics Unit. Protesters denounced the lack of efficiency of this institution which is in charge of issuing birth and death certificates. The delay issuing these documents has affected the registration of several citizens who will not be able to vote in the referendum in March 2019. The demonstration proceeded normally and no violations were reported. In practice, most civil society organisations, including those promoting human rights, operate freely. However, organisations promoting the rights of LGBTI people can face societal and legal discrimination. In practice, most civil society organisations, including those promoting human rights, operate freely. However, organisations promoting the rights of LGBTI people can face societal and legal discrimination. Legitimate land rights claims by organisations representing the Maya indigenous people were ignored by the government, who appear to have prioritised the granting of development rights on Maya land to oil companies. The freedom to form associations is guaranteed in the constitution, and regulated through the Non-Governmental Organisations Act of 2000. The Act’s definition of an NGO includes that its aims shall be compatible with the provisions of the Universal Declaration on Human Rights. Protests and demonstrations, albeit mostly small-scale, are relatively common in Belize. They address a wide range of issues and often take place in the capital, Belmopan. Article 13 of the constitution extends the right to assemble to ‘persons’, meaning that foreigners also have the right to gather peacefully in public in Belize. People in Belize are free to express ideas, criticise the government and benefit from a generally free media. Belize has ranked highly (29th and 30th) on the World Press Freedom Index in 2014 and 2015. Defamation law is sometimes used against journalists. People in Belize are free to express ideas, criticise the government and benefit from a generally free media. Belize has ranked highly (29th and 30th) on the World Press Freedom Index in 2014 and 2015. Defamation law is sometimes used against journalists. In 2015, a sitting government minister instituted civil defamation proceedings against Great Belize Television following reports that he had benefitted from issuing visas to foreign nationals. The minister withdrew the case shortly after it was heard in court. 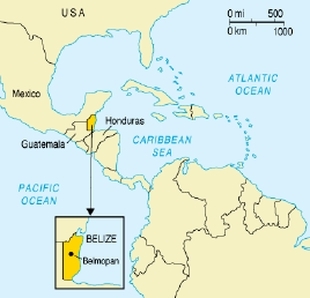 Although access to the Internet and social media is unrestricted in Belize, according to the International Telecommunications Union, in 2014, less than 4 in 10 people were online and according to Reporters Without Borders, internet access is slower and more expensive than anywhere else in the Caribbean.